George Flynn 9th grade boys orange. AAU number 6WAT88A9. 9TH GRADE BOYS BLUE...I was able to reserve the last 7 rooms at the Holiday Inn Express in Oakdale for this weekend. (Friday-Sunday April 26-28th). Rooms are filling fast! Text me if interested ASAP! 320-424-0219. 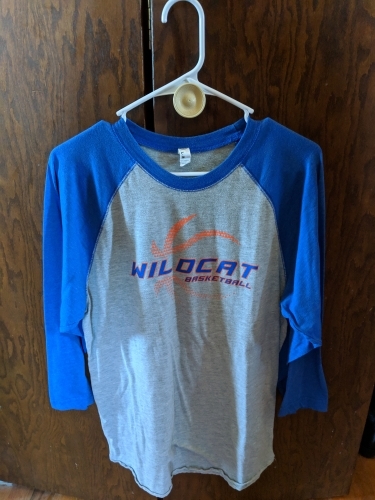 Wildcats baseball Tee for sale $12. Can send with Susan to practice tomorrow.